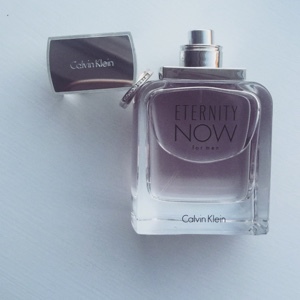 Last week I attended The Perfume Shop's Christmas Press Day and stumbled across a long forgotten men's classic, Calvin Klein Eternity. Whilst I've always been a fan of the fresh and woody fragrance, I wasn't aware of the spell-binding story behind the scent. Much to my Grandma's delight, I was told the name of the scent was inspired by the Windsors. Back in 1936 Prince Edward briefly reigned as King Edward VIII before abdicating in order to marry a divorced American woman, Wallis Simpson. The ring Prince Edward gave to Wallis Simpson after the scandal had the word 'eternity' inscribed on the inside, standing as a token of timeless love and immortality: "As long as we're together, time can't touch us" the motto went. In the late 1980's Calvin Klein bought the ring at an auction for his -then- wife Kelly Proctor, and discovered the inscribing inside the ring. He went on to create the Eternity fragrance to celebrate the love story, both his own and the Prince's. The new fragrance, ETERNITY NOW for men, opens with unexpected spicy ginger and star anise. This is mixed with refreshing coconut water and crisp star fruit which is warmed with notes of Moroccan cedar wood and Madagascar vanilla to give a woody finish perfect for autumnal wear.